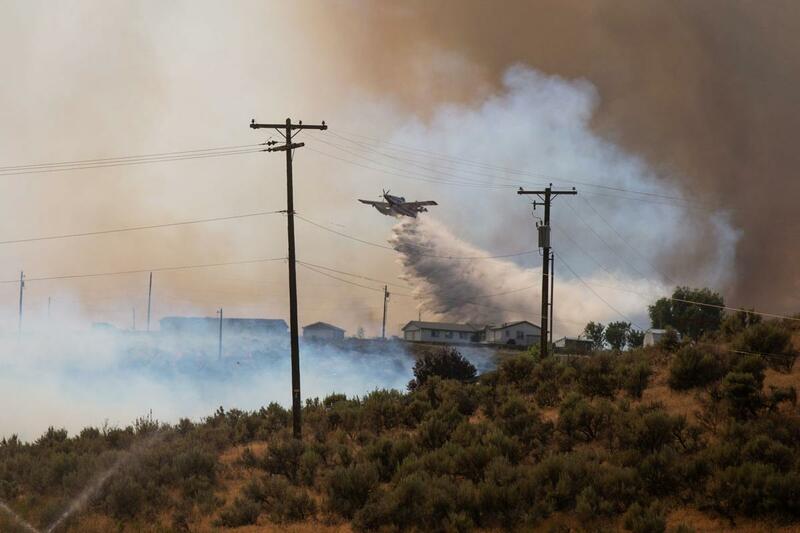 The Conrad Fire, burning 2.5 miles northeast of Naches, has burned 4,000 acres as of Monday morning, said Ben Shearer, spokesman for the Southeast Washington Incident Management Team, which took over the fire Monday morning. No buildings were lost in the fire, Shearer said. While the mandatory evacuation has been lifted, people should be on alert if the fire grows and they need to move, Shearer said. Crews are still calculating how much of the fire has been contained, and said Shearer said one of the main concerns will be winds kicking up today and potentially fanning the flames. Winds were expected to reach gusts of 30 mph, he said. The National Weather Service has issued a red-flag warning for Eastern Yakima County, as well as Southeast Kittitas County and parts of the Columbia River Basin. Firefighters are battling flames on a variety of rugged landscape, from orchards to washouts and rocky cliff faces, Shearer said. Winds are pushing the fire east toward where a fire burned in the Wenas area last year, Shearer said. That area has become overgrown with cheatgrass, and crews are trying to keep it from reaching into there. The fire is also burning through thick sagebrush, Shearer said. About 97 firefighters are on the fire. The cause of the fire is still under investigation, Shearer said. Published: July 2, 2018, 11:50 a.m.